Published Jul 7, 2014 by Addison-Wesley Professional. Part of the LiveLessons series. 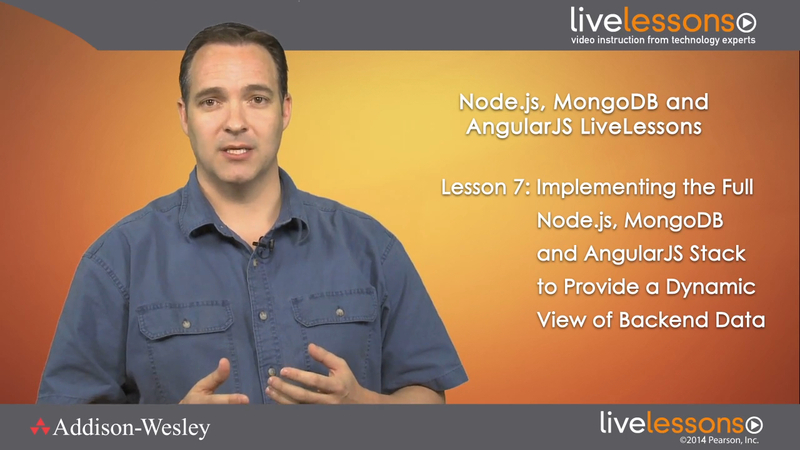 Learning Node.js, MongoDB and AngularJS LiveLessons provides developers with a practical introduction to Node.js, MongoDB and AngularJS, an exciting development stack for building web servers and web applications.